The absolutely number one question I get asked is- okay, but WHAT do you eat? I’m committing right now to developing a week or maybe a month of recipes and meal plans, but for now I want to share what just ONE day looks like in the Fertility Diet. This daily meal plan meets all the criteria I used to get pregnant with my first miracle baby (read about everything else I did here), adheres to the fertility recommendations of the Harvard Nurses Study (except it eliminates dairy), and meets the new macro nutrient ratios (carbs/protein/fats) that research shows QUADRUPLES the pregnancy rate. 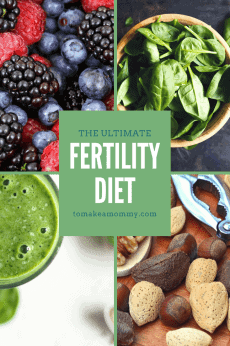 Read more about the fertility diet here, and about the research on macro nutrient ratios here. 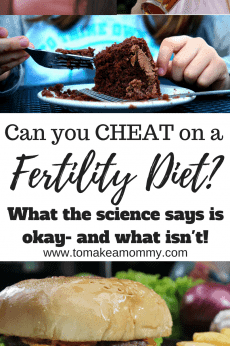 Of course, I’m also a firm believer that every woman should TAILOR the fertility diet to her needs and diagnoses. Click here to get my free e-book on how to do just that- tailor the fertility diet to be perfect for YOU! Absolutely no: Caffeine, Alcohol, Sugar, Sweeteners (natural or artificial), high-sugar fruits (like bananas), Soy, White/Simple carbs (pasta, white bread, white rice), Trans Fats. It also includes no raw veggies that are harmful to you or can exacerbate a Chinese Medicine Diagnosis of Cold uterus. It also includes no gluten, although when I got pregnant with my miracle baby I was including some organic whole wheat. As I am trying for number 2 however, I have eliminated it. Plenty of organic: leafy greens, green & white veggies, organic + free range eggs, legumes, berries, seaweeds, healthy fats (avocado, olives, olive oil, nuts seeds), filtered water. Supplement with super foods tailored to your diagnosis. For me that is wheatgrass and spirulina in a Fertility Smoothie. This meal plan doesn’t include actual vitamins/supplements. Please click here for my overview on supplements! Just remember, nourish first with food, tweak to ideal health with supplements. 1- All those studies were based on women eating regular non-organic, hormone-laden red meat. 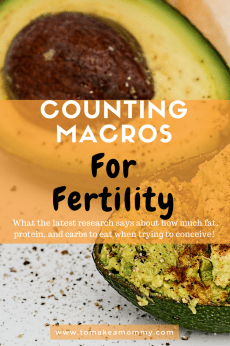 2- You really need to keep your carbs under 40% of your total diet to maximize egg and embryo quality, and that is hard to do with unlimited brown rice and quino! 3- You really need a lot of protein and fat in your diet. So, my new meal plans tend to have a bit more meat and bit less whole grains. Also, please note that I have a vast array of seafood-related allergies that prevent me from being able to avoid things like Salmon. If you can enjoy seafood, be sure to include fresh-caught Salmon in your meals (not farm-raised). I’m assuming this is a to-go day, i.e., a day where you work and you need breakfast and lunch ready to go, and a simple dinner. When I do the longer meal plans I’ll include more exciting meals that take longer to cook (like an omelet and sausage for Sunday breakfast!). This one meal plan ensures that you hit your 35% protein macronutrient ratio, and keep your carbs under 40%. I’m not going to lie. It is really, really, really hard to keep your protein over 35%. Like, super hard. It is, however, easy to keep your carbs under 40%. As I began tracking my meals I realized that I was eating way more Keto than I imagined. Without effort my days come out around 25% protein, 10% carbs, and 65% fat. Which, actually, is pretty darn good for fertility given what evidence we have. And the research recommending the 35% protein didn’t have a good control to test to see if it was really the higher protein or if the same results would have happened with higher fat. So in general I’d say- try to keep your carbs well under 40% each day, and don’t sweat the rest too much. Make sure you are getting at least 25% protein, or if you feel great eating meat, pump it up to 35%! This daily plan is super low-carb. Feel free to add in some brown rice if you feel you aren’t full enough. I stay very full on this kind of a diet. Enjoy! Look for the longer package coming soon! For this day’s calculations I used the exact recipe in the fertility smoothie post with steamed kale as the green and blueberries as the berry. 2 Clean Eating Turkey Muffins – at some point I will post my own edited version of this recipe. I do whole eggs, and sometimes substitute blanched almond flour (find an organic option at your local health food store if you can) for the oats. If you are gluten free, remember to get gluten-free oats. 1 Large Fertility Romaine Salad- I made it just like in the recipe, except I skipped the goji berries, did 7 olives, and no additional nuts or seeds. Top it with chicken made from your weekly InstantPot whole chicken prep! Phew!! That was a lot of work!! Enjoy, and may the protein-fat-carb ratios be with you!! Loved reading your meal plan. I have created my meal plan as well and have been on a gluten free and dairy free diet since the past two weeks after reading your blog. Since I’m an Indian, my diet plan is slightly different but I’m eating organic and got gluten free flour to make flatbreads. The only dairy product that I’ve included in my diet is ghee. Couldn’t find raspberry leaf anywhere so sticking to raspberry fruit infusion ( I know it doesn’t work in the same way lol ). Keeping my feet warm all day and soaking my feet every night in warm water. I’m so glad to hear you are loving the website! Ghee is fine because it doesn’t have lactose or casein- I just get nervous about all dairy :-). 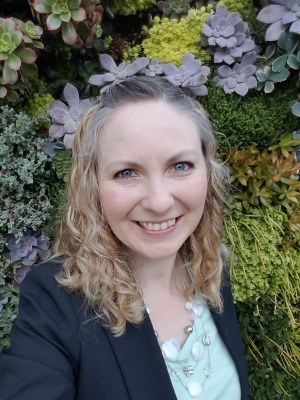 Good job going gluten and dairy free, I have a friend in India who struggled with infertility and it was very hard for her to make those choices because of the diet. Keep feeling good and moving towards your baby!! And please excuse me if I missed it somewhere… but do some of the greens in the smoothie count for some of your daily greens? I’m hooked up with spirulina, chlorella and wheatgrass. I’m so glad you found the site!! No, the meal plan is not sensitive! I drink the infusion cold, but you could totally drink it warm (probably better for you!) in the morning. When I need a hot beverage I do Dandy Blend with coconut cream – yum!!. YES– your spirulina/chlorella/wheatgrass count as a daily green for sure. So does the nettles in your infusion if you are doing a true infusion and not just a tea! I’m so glad I found your site. 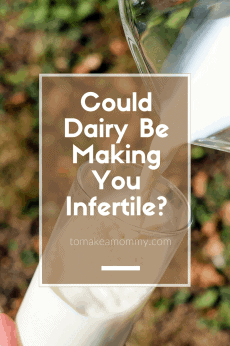 I’m currently in the process of balancing my hormones, and I was told by my ND to avoid eggs and dairy. I totally understand dairy, but I’m not sure about eggs. For me, it’s hard to get in enough protein if I’m not having them in the morning. 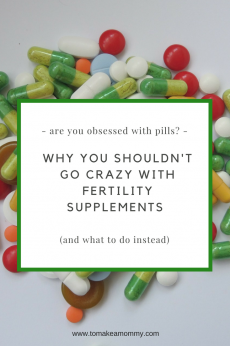 Have you come across anything in your research regarding eggs and negative impacts on female hormones? I’m also referring to pasture-raised eggs, not conventional ones. Taylor, somehow I missed this comment from last year! So sorry! For most women, organic pasture eggs are going to be a huge boost for fertility. But some women have a sensitivity to eggs that decreases their fertility via inflammation (this is not hugely common as it is for dairy and common). I’ve seen some websites lump eggs in with conventional dairy as if the hormones that cows are fed would somehow be in chicken eggs. I don’t get that, but there could be something more subtle I’m missing. Best wishes, I hope you are pregnant by now!! Thanks for sharing your experience and the diet that worked for you! My period stopped coming after I stopped taking birth control bills. 1.5 years of missing period! I tried western medicine but didn’t work. I started acupuncture in Oct 2017, period came in Nov 2017! My Chinese Medicine Diagnosis is also cold uterus and weak ‘qi.’ He actually recommended me to eat more red meat to help with my blood flow and he said it’s ok for me to eat soy. I had another period in Jan 2018 (longer cycle – acupuncturist said it is normal as it usually takes three cycles to adjust). I am eating a lot more nuts and fat. I’d add raw walnut in my morning smoothie, then snack on raw cashews and raw pistachio. 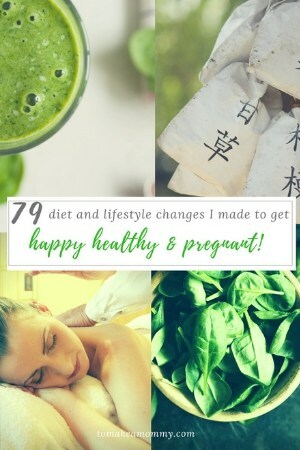 Did you notice any weight gain or body fat % increase by following fertility diet? Hello Wendy!! I am so sorry for your loss! I hope you are being careful to heal yourself emotionally!! Even four weeks is a loss that you’ll need healing from for sure. Your acupuncturist sounds great- tailoring the diet to your needs is the most important thing after all. The first time I did the diet successfully I lost about 10 pounds, but I wasn’t doing as much meat and fat (but plenty of nuts and seeds). The second time I did it successfully I maintained weight even though I expected to lose weight- I think this was probably because of the high protein/high fat diet. But I was luckily in a good BMI range, so this was fine! I hope you are experiencing good results!! Thank you so much for this blog. Just discovered you today. I also suffer with Endometriosis (stage 4). I’m thinking of undergoing my 5th IVF treatment. But before doing so I want to undergo a strict diet. More strict than I ever have in the past. This site will be very helpful in assisting my journey. Definitely no more coffee & dairy for me from now on. And by the way, thanks for clearing the confusion between eggs and dairy. Eggs are from chickens not cows!!!! Makes total sense. Haha!